Surveillance Valley was written by Yasha Levine, and it’s quite a powerhouse of information. In the Kindle version, the actual text of the book is only 61%. The remaining 39% is sources and references. This guy did his homework! In this fascinating book, investigative reporter Yasha Levine uncovers the secret origins of the internet, tracing it back to a Pentagon counterinsurgency surveillance project. A visionary intelligence officer, William Godel, realized that the key to winning the war in Vietnam was not outgunning the enemy, but using new information technology to understand their motives and anticipate their movements. This idea–using computers to spy on people and groups perceived as a threat, both at home and abroad–drove ARPA to develop the internet in the 1960s, and continues to be at the heart of the modern internet we all know and use today. As Levine shows, surveillance wasn’t something that suddenly appeared on the internet; it was woven into the fabric of the technology. But this isn’t just a story about the NSA or other domestic programs run by the government. As the book spins forward in time, Levine examines the private surveillance business that powers tech-industry giants like Google, Facebook, and Amazon, revealing how these companies spy on their users for profit, all while doing double duty as military and intelligence contractors. Levine shows that the military and Silicon Valley are effectively inseparable: a military-digital complex that permeates everything connected to the internet, even coopting and weaponizing the antigovernment privacy movement that sprang up in the wake of Edward Snowden. Well, yeah, but we knew all that – right? It’s not just a question of Zuck getting venture capital funding from alphabet soup agencies and that kind of thing. From the very beginning, the internet has always been about surveillance. The PhD paper written by Larry Page – that was essentially the creation of Google – was funded by DARPA (aka the military-industrial complex). Page and Brin then got funding the usual way: the MIC way. Apparently, Larry Page was even downright paranoid about keeping Google’s tech secrets behind closed doors because he knew darn well what they were doing. Along comes Gmail, and they have even more spying power. And then along comes Android, and they amass even more data. It was never about innovation: it was about hoovering up as much data as possible. I can’t count the number of times I’ve told people to not bother with things like Tor and Signal. Why? Because if it’s popularized, it’s already been hacked and/or was backed by those same MIC agencies. Julian Assange backed Tor. Then Snowden backed Tor. Everybody was backing it. It turns out that, as I suspected, from the get-go Tor was a MIC-created project. 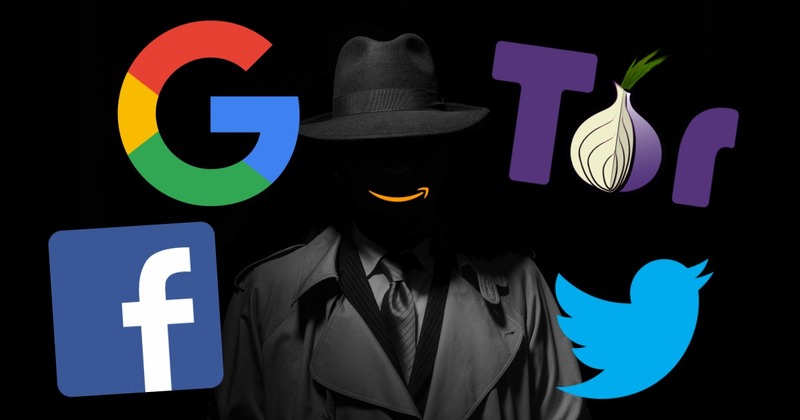 The reason it was popularized was because “they” realized that hiding your malicious online deeds by bouncing traffic between a bunch of servers would never work if all those servers were on US military bases or alphabet soup agencies. So, they popularized it. They got all kinds of other people, movements, and groups to adopt Tor, and use it. Voila! They now had just the network they needed. But the whole time, they already had ways around it. The proof is quite obvious, because that’s how they took down the Silk Road “dark web black market” in 2013 that used Tor to stay hidden. Well, I’ll let you read the book to get the rest of the gory details (yeah, there are a LOT more). Levine also covers the numerous legal battles, congressional reviews, and other times when attempts were made to stop all this privacy-invading nonsense. They all failed. From the Cold War all the way up to the present day, the motivation, funding, and development of all these super-whiz-bang networking technologies that we simply take for granted today has always been about spying. Levine’s detailed account of it all is simply a must-read.